It reeled in the network’s biggest audience in its 17-year history and caused an immediate Twitter frenzy that is still trending today. 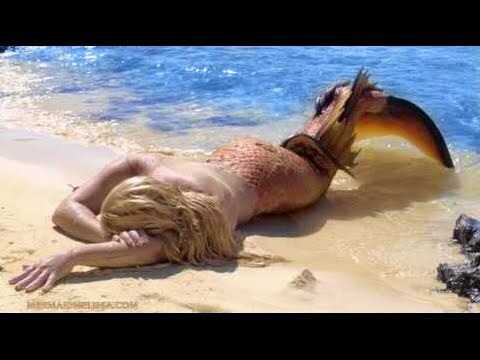 But Animal Planet’s Sunday ‘documentary’ about the existence of mermaids was nothing but a hoax, it emerged today, a revelation that will likely disappoint the show’s record 3.6 million viewers. ‘Mermaids: The New Evidence’ was advertised as a follow-up to last year’s ‘Mermaids: The Body Found’, with biologist Dr Paul Robertson returning with what appeared to be brand new footage of the alleged mythical creatures, allegedly taken this spring in the Greenland Sea. Such was its popularity that it drove the network to the number one slot in the key demographic among 25-to-54-year-olds and after it was broadcast, 1.5million streams of mermaid-related video surfaced online. Twitter erupted with posts about the show and the existence of mermaids in the hours and days that followed.